A Joint Venture with Leightons offers total flexibility, plus plenty of security for business owners. Whether you’re selling your practice, building a succession plan, or even looking for new ways to grow, you’ll want a trusted partner who can help you build on what you’ve started. Why a Joint Venture with Leightons? A Joint Venture with Leightons is flexible. This is where we work on a plan to steer profitability and hit agreed milestones that work for you. Maybe you wish to relinquish some of the day-to-day business administration, at the same time as receiving some value for all the hard work you have put in over the years? 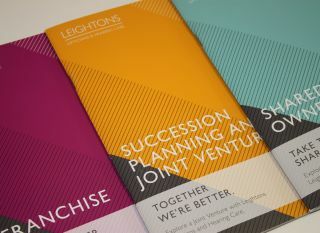 With Leightons joint venture partnership you can stay involved and earn during the transition years whilst continuing to build enterprise value for when you decide to sell your remaining shares. Maybe you are looking for new ways to grow, or to help create more profitability faster? That’s where the Leightons Method comes in. You can keep your own brand, switch to ours, or combine the two – if we both agree there’s mutual benefit. Why not take a look at our Joint Ventures in Marlow with Martin Lloyd and Leightons Insight, and Gillian Morgan-Dewar’s success story at Leightons Eye Windsor? The Leightons Joint Venture model is suitable for businesses owners with annual sales in excess of £400,000. For a private and confidential conversation please contact Ryan Leighton or Lindsay Fairhead by calling our Central Support on 01252 823400, or email [email protected].